Q. How long do people usually “think about it” before moving? A. Some take longer than others, but our experience has been that people take a minimum of 6-12 months to make an emotional move. The emotional move takes place in one’s mind. Once that emotional move has been made, a physical move can often occur within 30-45 days. Q. What if my kids live out of state and I need help moving? A. Hiring a move manager—also known as a moving coordinator—is the ideal solution for people in this situation. If you are unable to find a professional moving coordinator near you, it may be helpful to call on a professional care manager or organizer. Explain what you need, and they will likely assist you for an hourly rate. Q. Where do I start with sorting my possessions? A. Sorting can seem overwhelming at first glance, so we recommend you begin with one room, closet or dresser. Keep in mind that you are only looking for items that you may be taking with you. If you open a cupboard or closet and say, “I don’t want any of that,” then leave it alone and move on. A common misconception is that every nook and cranny needs to be gone through. Often, estate sale companies will allow you to take a last minute scan of items you may have overlooked during the move while they are setting up for the sale. As you sort, segregate items to be moved with you from those to be sold, by leaving the ones to be sold right where they are! Use sticky notes to label furniture, closets, cabinets, and other areas, s “sell,” “move,” “donate,” “family to take,” etc. Q. Doesn’t a house show better with furniture? A. This is a common question asked by people who are trying to decide whether they should move before or after their house sells. Every real estate professional will have an opinion on this matter. Regardless of how the house looks, furnished or unfurnished, there are other factors more important. Safety and convenience are primary considerations and good reasons to go ahead and move prior to placing your home on the market. Time and stress also factor into the decision. When the home sells, there might be as few as three weeks to as many as six weeks to make your move and liquidate the remaining personal property. Trying to manage all that needs to be done can be overwhelming, thus moving prior to the sale is preferable. Q. What do REALTORS® charge? A. REALTORS® typically charge a commission which is based on a percentage of the home’s sales price—usually 5% to 7%, with 6% being the most common. Each associate negotiates a fee based on the services offered and the property being sold. Discount brokers may charge less and leave the showing and contract negotiations to the homeowner. Specialized brokers may charge more and include added-value services in their fee. Q. What do estate sale companies charge for their services? A. Estate sale companies vary in their fees. Many base their fee on the projected gross sales expected to be collected. For instance, if a car is included in the sale, they may reduce their fee percentage due to the increased proceeds anticipated by selling the car. It may also depend on whether the sale is held on-site (in your home) or if they are required to move your items to another location to sell. The typical fee percentage ranges from 25% to 35%, with more experienced and upscale liquidators often charging more. Q. What if I don’t have enough stuff for an estate sale? A. If an estate sale company determines that you have valuable items to sell, but there is insufficient quantity to warrant an individual estate sale, then they may choose to bring in items from another estate to increase the pool of potential buyers, or to take your things to another site. Yet another option is, they might wish to take particular items to their gallery for consignment, or ask you to allow them to market your valuable via the Internet. If the remaining items are not antiques or collectibles, it is sometimes more beneficial to allow an auction company to take them to their auction house for a sale, or to offer the items to a dealer for a modest “buy-out” amount. Q. 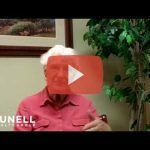 Why should I use a REALTOR® with experience working with downsizing and retirement community moves? A. These professionals have an understanding of the challenges of a move from a long-time home as well as the professional resources and vendors to assist with the many details involved in such a move. 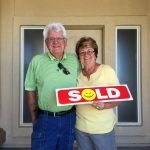 In addition to the technical details of the transaction, Downsizing Specialists have a special appreciation for the emotional nature of this type of move, and they will take the time necessary to help seniors and their families work through the emotional aspects. Q. What if the real estate agent recommends I move before selling, but I need the equity from my home for moving expenses? A. Many homeowners use the equity in their home to pay for their next house, for a retirement community entrance fee, and/or for moving expenses. If their move needs to be scheduled prior to closing the sale of their home, temporary financing can be an option. Banks, credit unions, or mortgage lenders can provide loans—“bridge loans”—which allow use of equity in a current home to finance the move to another home or retirement community. Once the home is sold, proceeds from the sale are applied to pay off the loan. 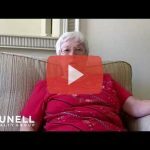 Since many retirement communities will work with prospective residents when circumstances result in this type of delayed asset transfer, a “bridge loan” should be reserved as a last resort for temporary financing. A. Sometimes, it’s advantageous to make needed repairs and home improvements before placing a home on the market. There are multiple issues to consider when making appropriate decisions about what needs to be done and when to do it, and an experienced REALTOR® is one of the best resources to guide your decisions. An “as-is” sale is somewhat misleading, since there are often repairs or replacements needed before a sale can be closed, to satisfy requirements of mortgage lenders, appraisers, or home inspectors, and to comply with local building codes. Items requiring repair following a home inspection can be arranged for you by your (Your Team Name Here), and often the expenses involved can be deducted from the home sale proceeds at closing. Q. How many retirement communities should I visit before I make a decision? A. To make sure you are choosing from the best available communities, do your homework! While some cities have a number of retirement living options, others are limited to fewer choices. If you are fortunate to have located several options, visit those that appear to fit your preferences (use the survey and checklist included) and go comparison-shopping. Visit your top choices more than once, at different times of the day than your previous tours, and remember to review the tips prepared for you in this manual. Q. I need to move to assisted living but it is very expensive. Are there any resources to help cover the cost? A. Assisted living communities provide various levels of care, some of which may be covered by certain long-term care insurance policies. If you have this type of insurance, contact the company in advance and inquire as to whether your policy has an assisted living benefit. Veteran’s benefits can also be applied toward assisted living care. Not all assisted living communities are equipped to facilitate the application process, so when in doubt or if you need assistance and information, contact the Veteran’s Administration directly for application policies and procedures. Q. Why should I hire Team Junell instead of my friend from church, my past REALTOR®, my daughter’s best friend, or my neighbor? A. This particular move—a downsizing move–is unlike any other move you have made in the past. In fact, depending on market and economic circumstances (whether it’s a buyer’s or seller’s market), it is more critical now that you choose a trained REALTOR® with high-level sales and superior knowledge and negotiation skills the average REALTOR® may not yet possess. Remember, your downsizing move involves a rather extensive set of unique components, requiring highly specialized professionals to assist you in several dissimilar areas. You will require the best move manager available if you want your transition to be as trouble free as possible. 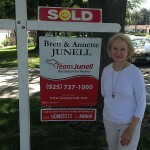 Consider that Team Junell not only has 15+ years of experience in varying market conditions, they have helped complete hundreds of local moves.